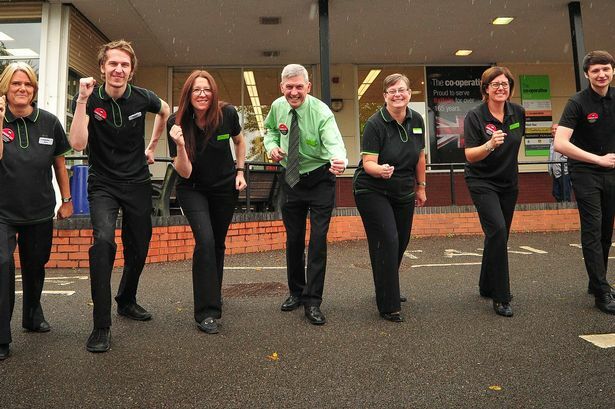 Central England Co-operative is getting behind Birmingham&apos;s bid for the 2022 Commonwealth Games. A total of 25 food stores, 33 funeral homes, four florists and two travel shops are uniting to throw their support behind the effort to bring the major sporting event to the city. Jim Cunningham, manager at the Stirchley food store, said: "We are proud to sit at the heart of the community in Birmingham and this is why we are backing the bid to bring the Commonwealth Games to the area in 2022. "The move would bring a multitude of opportunities to Birmingham and would echo our co-operative values and principles such as supporting community groups and charities and educating people about health and wellbeing. "We want all our members, customers and colleagues from Central England Co-operative in Birmingham to back the bid for the city to host the Commonwealth Games." Central England Co-operative said it hoped that a successful bid would allow for further opportunities to speak to youngsters about health. Currently, member and community relations officers deliver workshops about healthy choices to schoolchildren across the city every year. Community relations officer James Knight said: "We are more than happy to support our local schools to help teach the importance of healthy eating and why including five portions of fruit and veg a day and eating breakfast is important to a healthy lifestyle. "Our aim is to educate and have a positive impact on the attitudes and behaviour of local people at an earlier age and an event such as the Commonwealth Games will only help boost us on our efforts."